CCS Faculty Fellow Dominik Bartmanski has recently earned his habilitation in Sociology at Technische Universität in Berlin, Germany. Among those who were present at the exam were David Inglis, University of Helsinki, who was the external reviewer and Professors Martina Löw and Hubert Knoblauch. Dominik will now be the guest professor of sociology at Technische Universität Berlin, while maintaining his long-term pure research position at the Collaborative Research Center, Re-Figuration of Spaces. This research position is also at TU Berlin, where Dominik was a Postdoctoral Fellow from 2015-2018. 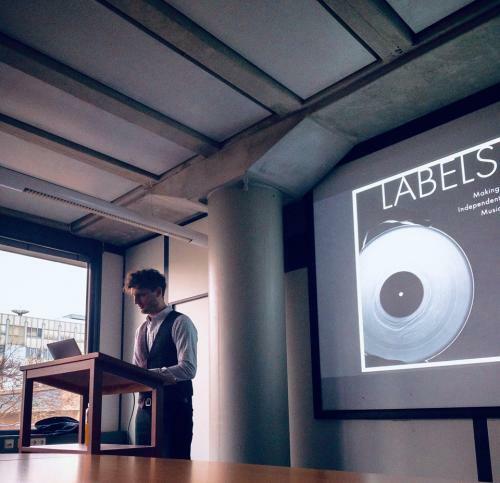 His book, Labels: Making Independent Music (with co-author Ian Woodward), will be published by Bloomsbury this fall. This book follows on their previous book, Vinyl: The Analogue Record in the Digital Age, (Bloomsbury, 2015). Congratulations to Dominik for all of these successes! !